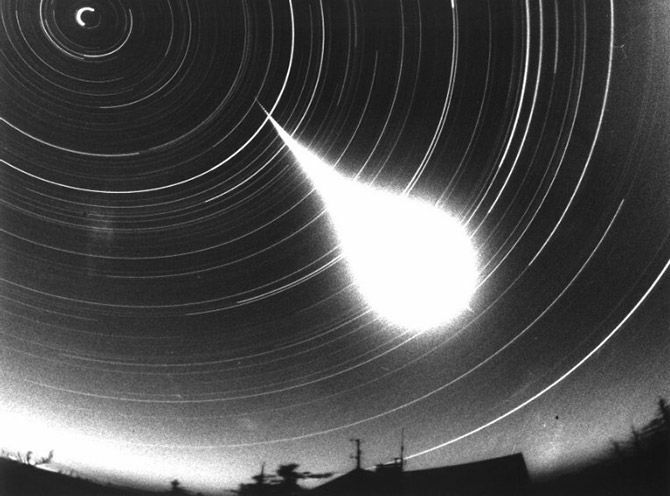 A fiery meteor blazed a trail through the skies on Friday morning, with sightings reported from Christchurch to Rotorua. Zoe Battersby, out for an early walk along Jimmy Amers beach in Kaikoura at around 6.10am, said she couldn't help but notice it. "It was very bright the size of a streetlight. It looked like it fell into the sea," she said. burn up at about 70 kilometres up," he said. "They are coming into a thicker atmosphere, travelling at 30km a second. "The friction is strong and they slow up and start to break up. "It's like throwing a stone at a concrete path." Mr Gilmore said a sonic boom often heralded the rare occasion of a meteor landing. He expected Friday's meteor entered the atmosphere somewhere over the North Island because of the range of reported sightings. "The impression of closeness is deceptive. huge explosion in the skies over the country on Thursday evening. 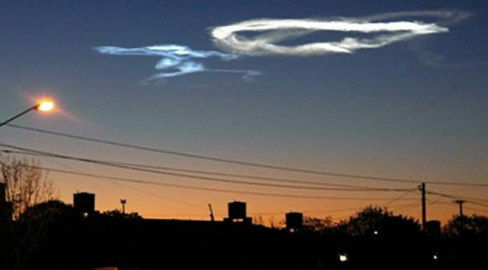 A spokesman said the most likely explanation was a space rock or satellite crashing into the atmosphere. been witnessed by people all over the country. A constant rain of meteorite impacts makes the moon hum. out sensors on future missions peeking at the lunar interior. lunar modules and spent rocket stages. from a gram to a kilogram do indeed create a hum, but it is subtle. 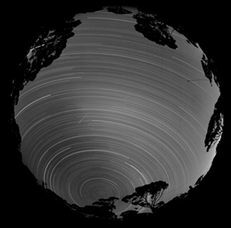 "This shows that all planets may hum, those with and those without atmosphere," says Lognonné. problematic background noise, says Lognonné. 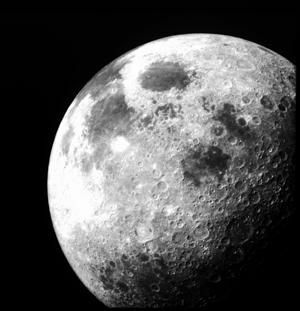 quakes can reveal more about the moon's interior. 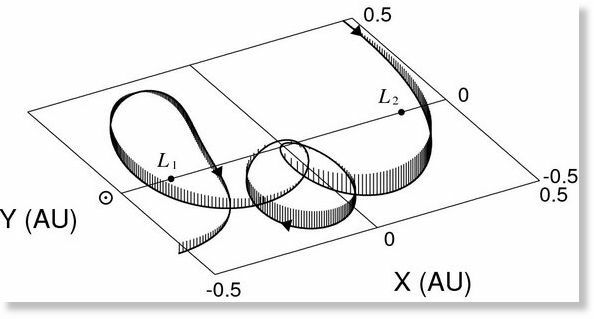 designing the next generation of seismometers to go to the moon." perhaps as early as 2015. Was Vancouver light show a meteor or space junk? It wasn't a bird and it wasn't a plane. Was it a meteor? Around 8 p.m. Saturday night a great, big ball of yellowy-white light streaked from east to west across the darkening sky. Astronomer David Dodge said that the fireball was probably a meteor - basically a rock falling from space. sent up there is not going east to west." He said meteors fall to earth every day. Most burn up before they enter the earth's atmosphere. Saturday's meteor was notable only because it happened over a populated area Some eye-witnesses, however, had their doubts. Steve Salsman, was out on his deck when he saw the white ball of light hurtling through the dusky night air. "It was at about the height of an airplane and had a long red tail," he said. Another eye-witness, Miles Wishlow, also said he thought the fireball was space junk falling from the sky. He saw a "shard" break off from the fireball. "It looked like something man-made that was just way off-course." The fireball itself, Wishlow said, didn't resemble anything he's seen then past. "The shape wasn't a perfect circle," he said. Space-enthusiasts, he said, would be hard-pressed to find a chunk of the meteor, even if it did make it to earth. "It was something 100 km over its ground path travelling at 70 km per second," he said. "The human eye has a tough time dealing with that and tends to go for the easy answer. It's not in our neighbour's backyard." 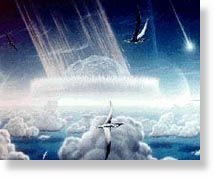 Dodge also pointed out that once a meteor lands on earth it is no more remarkable than a regular old rock. The biggest difference is that space rocks get to go out in a blaze of glory. "It was quite breathtaking. Four of us were just standing there watching it," said Wishlow. Sue Kendall was at her Saturna Island home on the phone with her son in Vancouver when she saw the bright, fast-moving light. "I said, 'Oh my goodness,' and he looked up and saw it too,"
she said. "Your brain takes a moment to process it....it was amazing." able to escape from the planet's clutches. 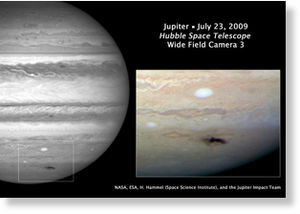 around the planet Jupiter," said team member Dr. David Archer. 1949 and 1961, the third longest capture period of the five objects. 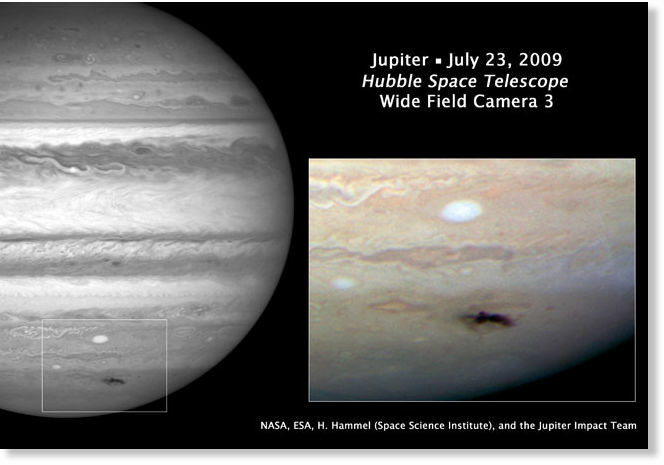 completed two full revolutions of Jupiter. 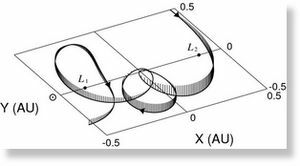 planet between 2068 and 2086.
will avoid the fate of Shoemaker-Levy 9 for the foreseeable future,"
The discovery is to be presented at the European Planetary Science Congress in Potsdam. dinosaurs and many other species on Earth. matter filled the Earth's oceans and lakes. environments, and enabling other organisms to live." food supply for animals higher up the food chain. struggle just to stay alive during months of almost complete darkness. environment following something such as the K-T event, Jones said. short-term experiments to simulate decaying organic matter. separately and together under the different light conditions. managed to survive based on nutrients cycled by the active mixotrophs. during six months darkness, when they can't eat at all," Jones said. hungry mixotrophs simply fed on their fellow organisms. the July/August issue of the journal Astrobiology. asteroid impacts in the future. Reveals the expansion of the coma of comet Holmes over 9 nights in 2007 November. Congress in Potsdam, Germany, on Wednesday 16 September. away from the nucleus at speeds up to 125 metres per second (280 mph). enhanced by the Laplacian filter. the geology of Britain from random rocks dumped in your back yard," says Phil Bland at Imperial College London. trajectory by triangulation, estimate the rock's likely landing site, then look for it. named Bunburra Rockhole, in 2008 and 2009.
meteorites are chips off the giant asteroid. subsequently flung out to the innermost asteroid belt. what were the building blocks for the terrestrial planets?" says Bland. "This rock gets us a little bit closer to that." postdoctoral researcher at the institute. from the Canada-France-Hawaii Telescope on Mauna Kea. sun, by comparison, is 865,000 miles. nucleus of the comet at speeds of up to 280 mph. 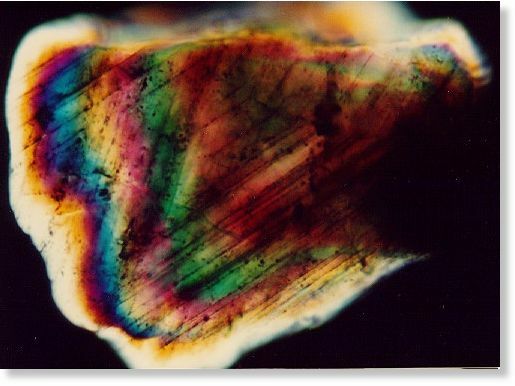 "We concluded these probably were pieces of icy substance expelled from Comet Holmes like mini-comets," he said. surface ice vaporized and transformed into gas, Kleyna said. 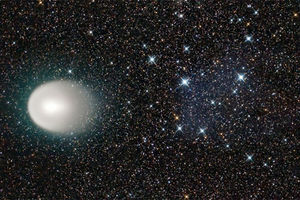 don't think we've seen an eruption that generated many comets before." was "an unprecedented million times brighter" than before. 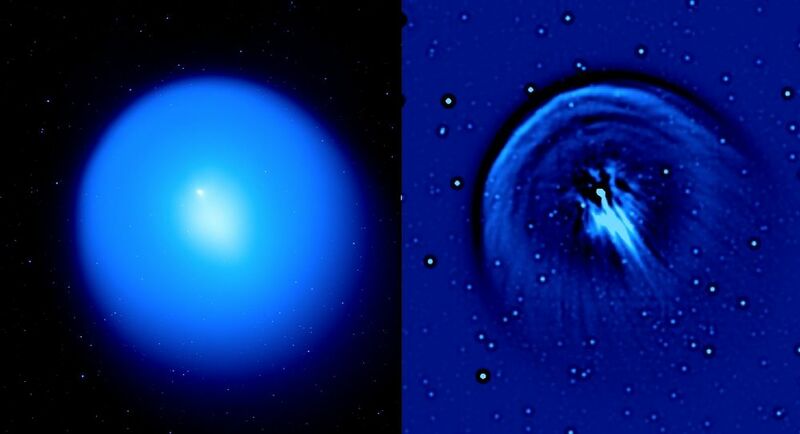 What the astronomers saw was "just awesome," Jewitt said, and "very, very weird. 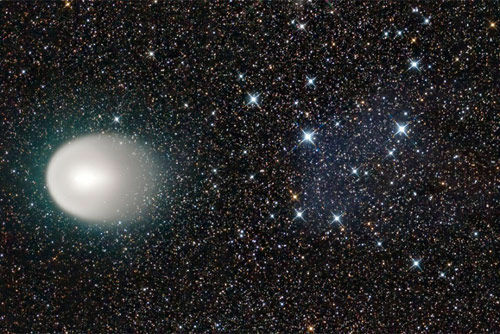 An outburst by a factor of a million is staggering, and I don't know of a previous case like this," he said as he and his team studied the expanding comet. Sightings of the baby comets were reported at the European Planetary Science Congress this week in Potsdam, Germany. to the sun, Jewitt said in 2007. Jupiter. Its next closest approach to the sun will be in 2014. What Do Dinosaurs And The Maya Have In Common? 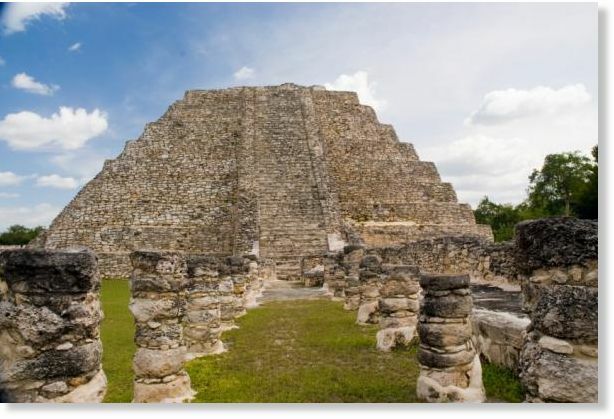 archaeologists to research the Maya. the Cretaceous to the Paleogene around 65 million years ago. which can only be studied using boreholes or geophysical methods. crater was discovered, and do not completely reflect the geology. that also occur frequently outside the crater ring. the basis of the strontium data. 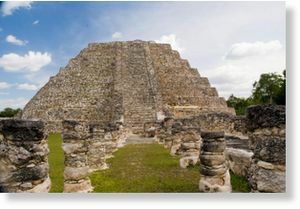 boundaries, such as the Maya city of Mayapán." building materials or where they cultivated their maize. this enables the region in which a person grew up to be determined. conclusions to be drawn about the social structures of the Maya." 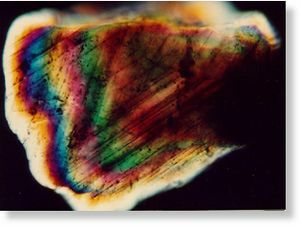 biological strontium isotopes from bones or teeth. tons of CO2 into the atmosphere. peninsula to the Gulf of Mexico. Maya capital in the north of the peninsula. come alive and leaves residents worrying about radioactivity. Eyewitnesses saw the sky light up. More than a hundred people in the sparsely settled area reported seeing it. At least one person fell to the floor in horror, believing that some religious doomsday had arrived. Others were sure that nuclear war had broken out. the meteor's visible energy lit up the skies outside, its strong electrical field activated the power grid. Residents reported that the lamps in their homes turned on for a few seconds. People who were outside heard a buzzing, crackling sound in the air. The tops of fence posts lit up with electrical discharges. The impact shattered windows for a dozen miles around and was felt up to 60 miles away. 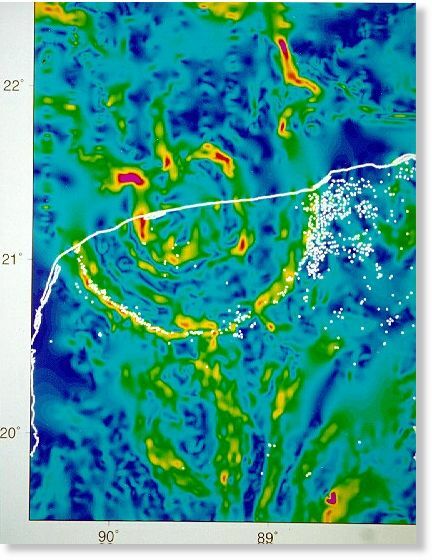 Scientists in Irkutsk recorded "seismic waves comparable to a middle-power earthquake." Hunters who first explored the area near the presumed impact reported an area of downed trees surrounded by charred forest. the hilly forests of Bodaibo, northeast of Irkutsk, and Lake Baikal. diameter. Nearby tree stumps were shattered or burned. that's where the ball exploded. placed it much higher at 4 to 5 kilotons. compounds. None of these is typical of the local geology. Some sources say gamma radiation was at background level, but others say local water samples showed high levels of tritium, along with radioactive isotopes of cobalt and cesium. consider: It was not picked up in advance by any existing warning systems. If the fireball had exploded on or over a major city, it could have killed tens of thousands of people. 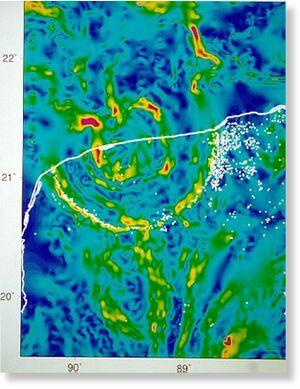 blast waves on September 25. There were no reported casualties. is presumed to have fallen. kilometers above the earth's surface which was registered by Americans. s.l. and 113o 27.6, e.lat. expeditions will be working independently," Sergei Yazev said. area is 30 kilometers to 50 kilometers northeast of that point. iron, nickel, and chrome that are usually present in meteorites. the atmosphere," Sergei Yazev says. "It had a 200-ton TNT equivalent. metal structures. Apparently it was a stone or iron-and-stone bolide. Its dimensions have yet to be established." windows were shattered in houses for dozens of kilometers around. dropped on Siberia in February 1986.
out, but there was no trace left on the poles in the morning." 115 feet across, were taken in November 2008 and January 2009.
latitude than expected in the Martian climate. in the Sept. 25 edition of the journal Science. the team operating the orbiter's Context Camera. equator than the ones that revealed ice. 2009, confirming a cluster of small craters. color. It looked a lot like ice." a spectrometer instrument on the orbiter to determine its composition. had a larger area of bright material. water-ice, but it was important to get the spectrum for confirmation." conducted on-the-spot biological tests for life on another planet. Far-fetched it might seem, but this scenario is all too plausible. make the difference between life and death - are woefully inadequate. city, and potentially a civilisation-ending event," he says. were lucky to get any warning at all. 500 each year (Nature, vol 453, p 1178). Put another way, that's a 10 per cent chance of an impact in the next 50 years (see Should we panic?). of the Minor Planet Center in Cambridge, Massachusetts. "I could easily see a 50-metre object hitting in three days causing absolute pandemonium." would need to be applied years in advance (see Could we nuke it?). we would simply have to brace ourselves for the impact. northern Sudan, with timing accurate to within a minute. coordination could lead to chaos on the roads. Tunguska event, this happened at about 8 kilometres above ground. directly exposed would quickly be very badly burned. it reaches you, then you hear a double boom." winds blowing faster than any hurricane can muster. impacts by asteroids as far more dangerous than those on or over land. Earth only about one-tenth as often as 30-metre objects. will be crucial if an evacuation is ever required at short notice. 2008 TC3. The region tends to cloud over between July and September. produce a bright flash, a blast wave and raging winds. East, we did our full alerting," he says. United Nations working group on near-Earth objects. take on a more equitable share of that," he says. interference from the sun and moon. 2010, which Congress has requested. least give us a better idea of when the next asteroid might strike. "From what we know today," he says, "it could be next week." desintegrated with a loud explosion before it hit the earth. the Copernicus Institute said today. south of the border with Mendoza. collected it wouldn't have landed on Mendoza". to it to the local media. In fact what is seen is a trail in the sky. South, which would be the impact zone. which causes the shaking of glasses in the houses. likely to be a metal object such as a meteor." A Bosbury man who witnessed a strange light in the sky on Saturday night is wondering if anyone else saw the same thing. Mark Beard saw the orange glow at around 9.45pm to 10pm as he was standing outside his rural home. "I've seen shooting stars and it didn't have the trail you see with them, but it was very, very bright," he said. On my way to work this am @414 central standard,about 15 miles north of St.Paul,MN (09/08/09) I noticed a trail several miles long in the sky, then a fiery ball entering our atmosphere;then it darkened but could be seen for just a moment.It was observed @ aprx. 60 deg.off the horizon, facing due south on I-35. Does anyone know of what this was,possibly? I live on Mt. Hood in Oregon. At 2:57 am PST on Thursday, September24,2009 I saw what had to be a meteor. I was facing east and it appeared large and glowing in the sky it had a bright white fireball with a white. blue and green streaking tail on the underside and a small brilliant red streak. It was amazing! I wish I could have seen the one over Guelph, Ontario on September 25th. It sounded huge. I saw two fireballs over London, Ontario back in 2001. It was amazing. One was actually accompanied by sound, a low roar/hiss like water rushing over a dam.